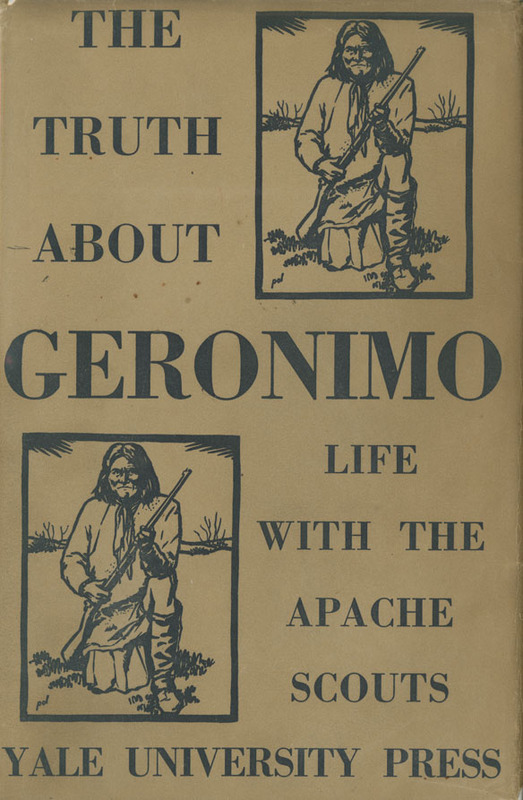 Davis, Britton , “The Truth About Geronimo ,” Arizona 100: Essential Books for the Centennial, accessed April 21, 2019, http://speccoll.library.arizona.edu/online-exhibits-dynamic/az100/items/show/164. 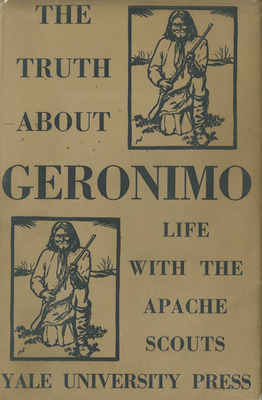 Although a number of army officers published recollections of their service during the so-called Apache Wars, Davis’s memoir stands out for its intimate and unflinching description of reservation conditions, his vivid portraits of military and native leaders, and his blistering attack on government policy. New Haven : Yale University Press, 1929.
xvii, 253 p. front., plates, ports., map. 25 cm.